Over the course of 25 years, we built an expansive network of experts. 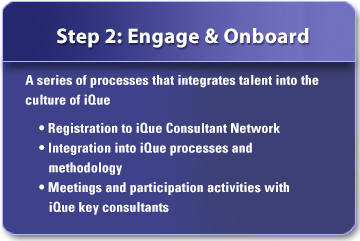 When we founded iQue Group, we tapped into and leveraged this vast network to create a consulting team capable of delivering an outstanding experience for our clients. 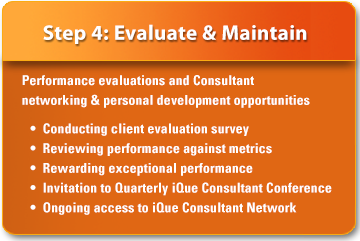 Building and maintaining the quality of our expert consulting team is foundational to our philosophy. 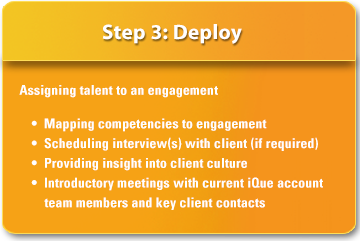 Using our SmartNetTM process – a continuous talent acquisition, development and deployment process – we keep our vast team of consultants vibrant. 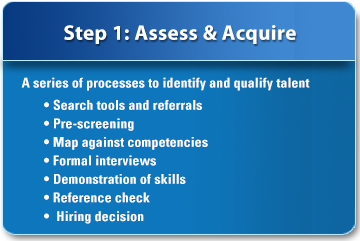 Our goal is to consistently provide you with the best and brightest consultants by continually engaging, evaluating and developing our team of consultants. Rollover the colored arrows below to find out more.